What is a QuickBooks Desktop Portable File? 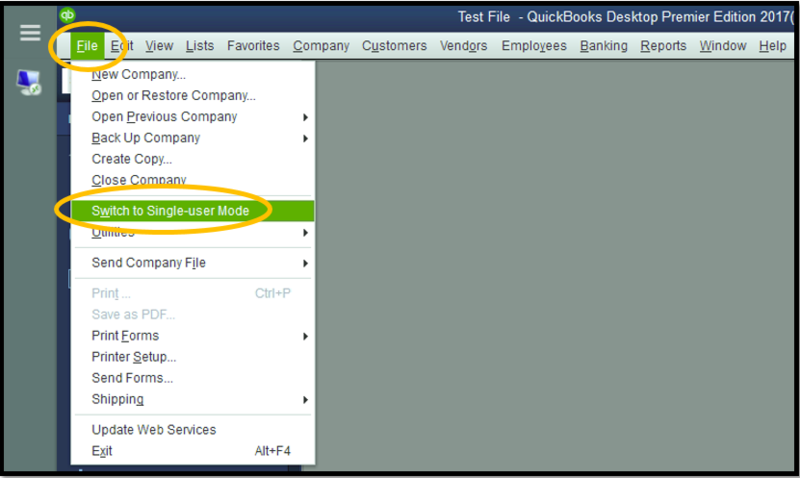 How Do I Create a QuickBooks Portable File? It is a compressed copy of your QuickBooks company file. 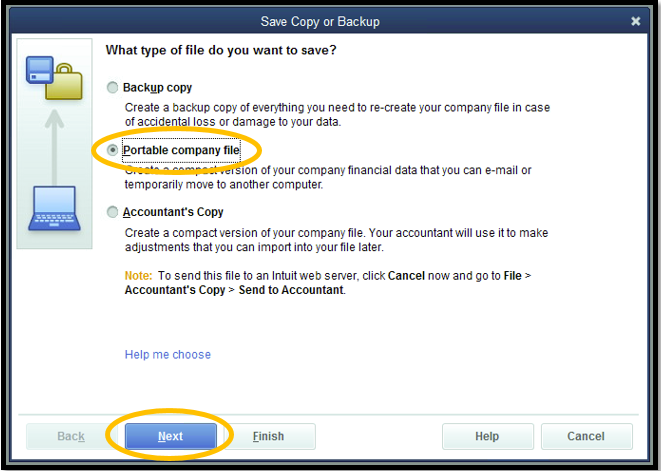 Often, QuickBooks files are too large to send via email or as attachments, or even to upload on a flash drive. Portable files are ideal for sharing with your accountant, bookkeeper, or ASAP. Keep in mind that a portable file is a copy of your original file, so do not expect to be able to work on the file at the same time as your accountant. Portable files are ideal when your accountant only needs to see your company data and does not intend to do any data entry within the file. A portable file removes excess information (i.e., logos, images, templates) and essentially only includes the company data. A portable file does not contact a transaction log file, or a .tlg file type. 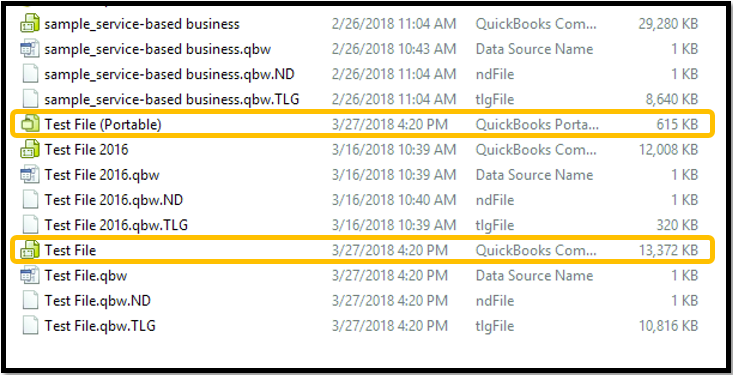 Portable files can sometimes be helpful when trying to troubleshoot data issues, as QuickBooks re-indexes the file when restoring a portable file. 1. Open your company file and switch to single-user mode by selecting File and Switch to Single-user Mode. If you are already in single-user mode, it will read Switch to Multi-user mode. 2. Select File and Create Copy. 3. Select Portable company file and Next. 4. Select This PC and double-click on your directory on the G: Drive. The portable file name will default to the file name and then (Portable), which you can re-name if you would prefer. 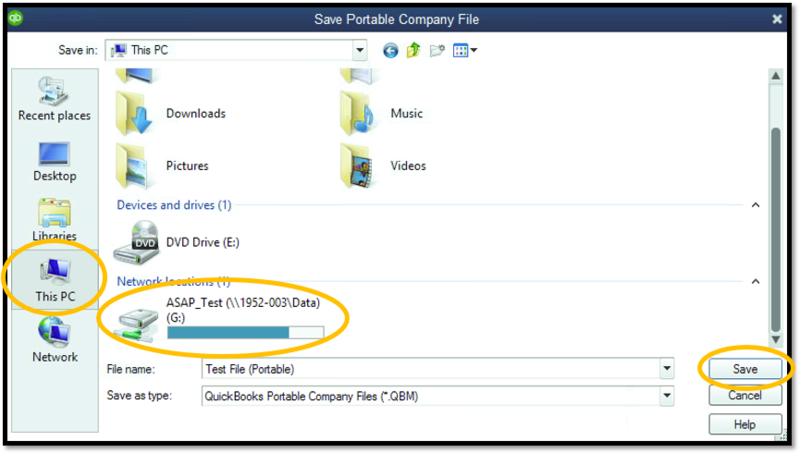 Once you select where in your directory you want to save the portable file, select Save. 5. You will receive a message that QuickBooks must close and reopen your company file. Select OK.
6. 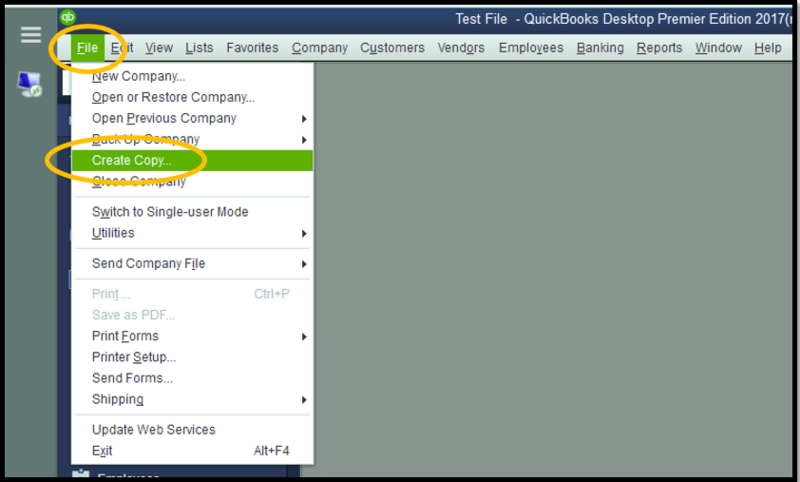 You will receive a notification when QuickBooks has completed creating and saving your portable file. Select OK.
7. You have successfully save a portable copy of your file. If you return to your directory, you can differentiate your original file from your portable file because of the name under which you saved the portable file, the icon next to the file, and the size different between the files. Notice that the original QuickBooks file's size is 13,372 KB, while the portable file's size is 615 KB.